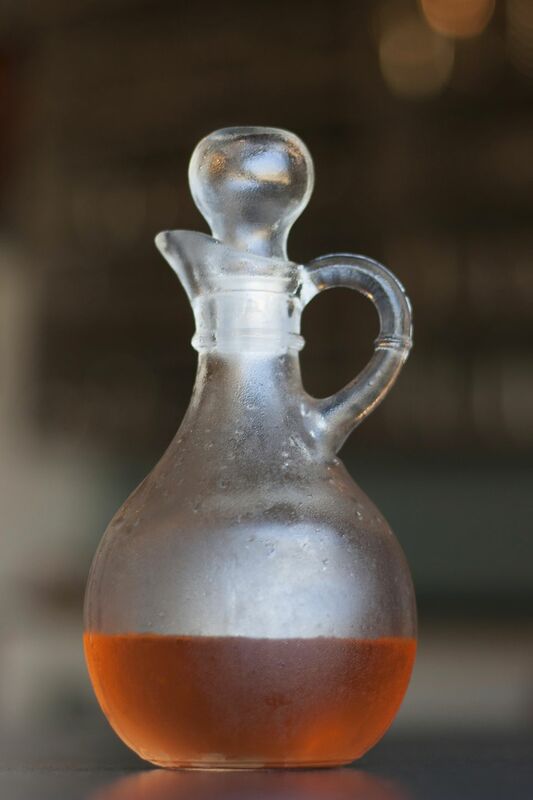 Cinnamon simple syrup is very easy to make at home and it is a quick way to add the subtle, warming spice to any of your favorite drinks. Add a splash to your morning coffee or afternoon tea, or use this syrup to bring flavor into your favorite cocktails. Once you discover the joy of cinnamon syrup, it will become a regular in your kitchen or bar. Unlike some flavored simple syrups, cinnamon is incredibly easy. All you really have to do is drop a single cinnamon stick into homemade simple syrup, wait for it to steep under the heat, and you're done. It's so easy that you can make it while brewing that first coffee of the day. Regular white cane sugar makes a great cinnamon syrup and it's easy to find and cheap. It's the perfect option if you use a lot of cinnamon syrup. Demerara (or raw) sugar is another excellent choice that gives the syrup a richer flavor. It's very nice with the cinnamon. Brown sugar is an option, though it's best to split it with white sugar. The cinnamon can get lost behind the darker sugar, so begin with 1 part of each sugar and see how you like it. Yet, if you were to add even more spices, something like this brown sugar spiced simple syrup can be very useful. You can also use sugar substitutes. They work perfectly fine, though you might want to add a second cinnamon stick to amp up the flavor. If you buy them in bulk, cinnamon sticks are surprisingly inexpensive and many of the best deals are found at international food markets. This may free you up to add a second stick to bring more flavor to the syrup. In general, though, one stick will achieve a nice, rounded cinnamon flavor. Another way to increase the cinnamon flavor is to leave the spice in the syrup longer. While 1 hour gets a nice flavor, three hours is better. Cinnamon is a very versatile spice and you can use it as a foundation for creating unique homemade syrups for your drinks. Explore these recipes and enjoy the full range of this fun ingredient. The subtle flavors of cinnamon can be added to a number of cocktails to enhance and complement the other flavors in the drink. While some cocktails, such as the UK Sour, Poinsettia Punch, and Zombie Punch specifically call for this syrup, it can also be used in other drinks to add a light warmth. Think of using this syrup in place of plain simple syrup in cocktails with flavors that complement cinnamon. Some examples include modern drinks like Dusk in Eden and the Designated Appletini. It can also reinvigorate classics like the Fish House Punch and Fancy Whiskey. Almost a Collins - Vodka and blood orange with the sweetened cinnamon. Baffled King - A rum and apple brandy cocktail that is a pure delight. Children of the Corn - Halloween treats start out with a candy corn-infused vodka. Raspberry Peach Cobbler - Fresh raspberries, vanilla bean, and a fruit liqueur are the perfect complement. Add sugar and stir until it has dissolved completely. Reduce the heat, add the cinnamon stick and cover the pan. Remove the pan from the heat. Allow it to cool and steep for at least 1 hour. Remove the cinnamon stick, pour the syrup into a bottle, and refrigerate. The syrup will be good for up to 2 weeks in the refrigerator.